The URA is committed to ensuring that our membership is well‐versed in our contract and our rights. To that end we are rolling out a series of Contract Education articles to help you understand the importance of our contract; how the various articles are beneficial to you, and when and how they are applicable. Our union enforces the provisions of our contract through our grievance procedure. 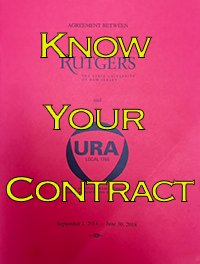 A grievance is defined as a claimed violation of any provision of our Agreement or of any Rutgers policy relating to mandatory negotiable wages, hours or terms and conditions of employment (Article 12‐Grievance Procedure). In New Jersey, without a contract restricting termination (such as a collective bargaining agreement), an employer has the right to discharge an employee at any time for any reason. An employer may fire an employee for “no reason” — or even for a reason that might seem arbitrary and unfair. 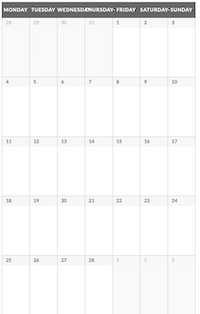 This is commonly referred to as “employment at will”. The grievance procedure found in Article 12 lists a number of steps in our grievance process. The steps get more formal as you go through each of the steps; the first step is an informal attempt to resolve the matter with your supervisor, with the final step being binding arbitration. Some grievances are resolved successfully at the earlier stages of the process while others are not pursued past a certain point for a variety of reasons. If you read through the grievance procedure you will see language that defines what must be contained in the grievance, who receives the grievance form, the timeline to file the grievance as well as timelines to advance the grievance to the next step. This language can appear very technical but don’t be intimidated by any of it. Your steward has received training on how to process grievances and has additional assistance if necessary. The most important thing to remember is to contact your stewards as soon as something happens that you think might properly be challenged through the grievance procedure.